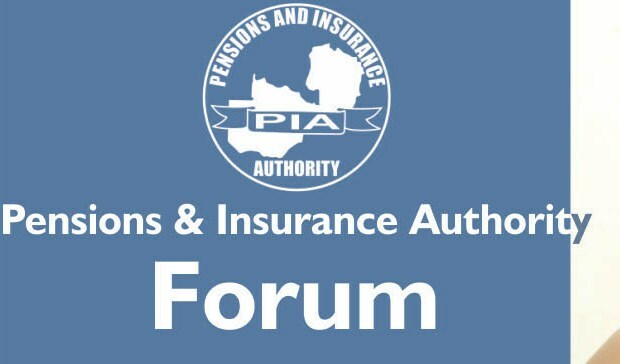 The Pensions and Insurance Authority (PIA) says the insurance industry in 2018 recorded fair growth. PIA Public Relations Manager Doreen Silungwe disclosed the growth of the industry in the pensions net assets. Silungwe said that as at 30th September 2018, pensions net assets stood at K7.028 billion compared to K6.432 billion of the same period in 2017 while investment income stood at K375 million in the third quarter of 2018 as compared to K279 million in the same period of 2017. “The return on net assets during the quarter ended 30th September 2018 closed at an annualized figure of 21%. In terms of the investment portifolio, property and term deposts accounted for 27% each, listed equities at 20%, government bonds at 11%, corporate bonds at 6%, insurance and collective investment schemes at 3% each, treasury bills at 2% and unlisted equities at 1%,” she said. Silungwe explained that the total membership of pension scheme as at 30th September 2018 stood at 107,293 compared to 108,458 during the same period in 2017. She added that on the insurance side, industry also continued to register a steady growth. “The industry had a total of 342 players licensed by the Authority as at 30th September 2018. The Gross Written Premium (GWP) for the industry as at 30th September 2018, was K739.36 million compared to K696.09million recorded in 2017 during the same period,” she said. “Long-term insurers paid a total of K422 million in claims and benefits by 30th September 2018 compared to K358 million that was paid out in 2017 during the same period”. Silungwe further stated that general insurers paid a total of K116 million in claims by 30th September 2018 compared to K131 million that was paid out in 2017 during the same period. She added that in terms of general insurance market share based on GWP, PICZ had the highest with 26%, followed by Madison General with 16%, ZSIC General and Hollard General at 10% each. “NICO insurance was at 9% while Goldman was at 5% with Mayfair and Advantage at 4%. Diamond insurance market share was at 3% with Meanwood, Phoenix and African Grey at 2% each. The rest of the players accounted for an aggregated share of 4%,” she disclosed. Silungwe further added that for 2019 outlook, the Authority is optimistic that industry would continue to register steady growth. She stated that the Authority was concerned with the continued complaints arising in the insurance industry relating to claims management. “PIA is committed to ensuring that there is efficiency in the management of claims as this is the reason why people take up insurance. Insurers should therefore be able to settle claims promptly and avoid inconveniencing policy holders as this has the potential of eroding public confidence in the industry. As such, one of the focus areas in 2019 for the Authority will be market conduct and a Unit has been established,” she said. She said the Authority had conducted market orientation workshops for both insurers and brokers at the end of 2018 to help address some of the issues that had been affecting the industry.